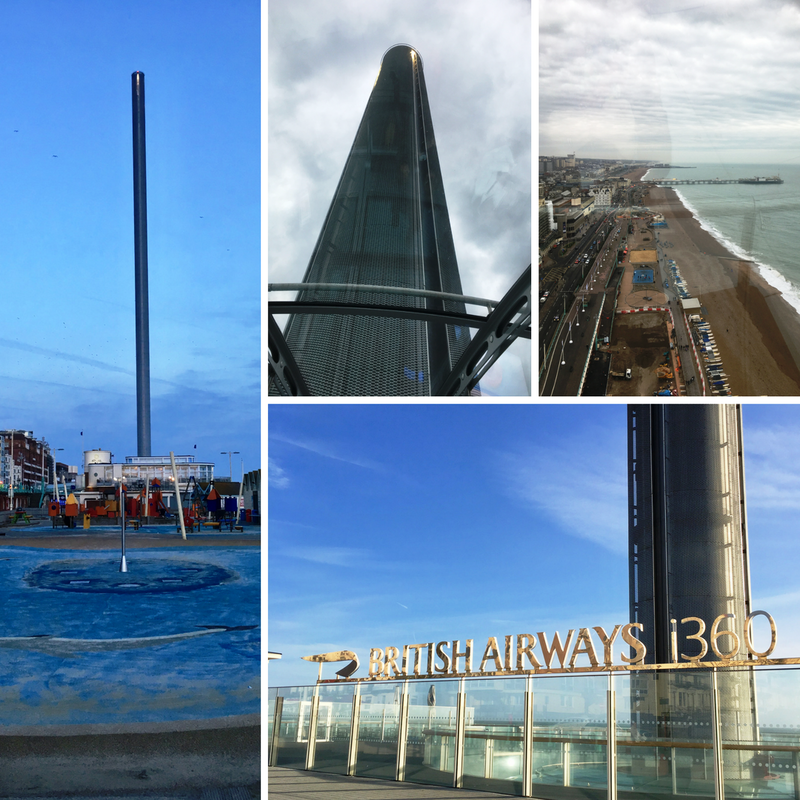 A work trip took me to Brighton this month. 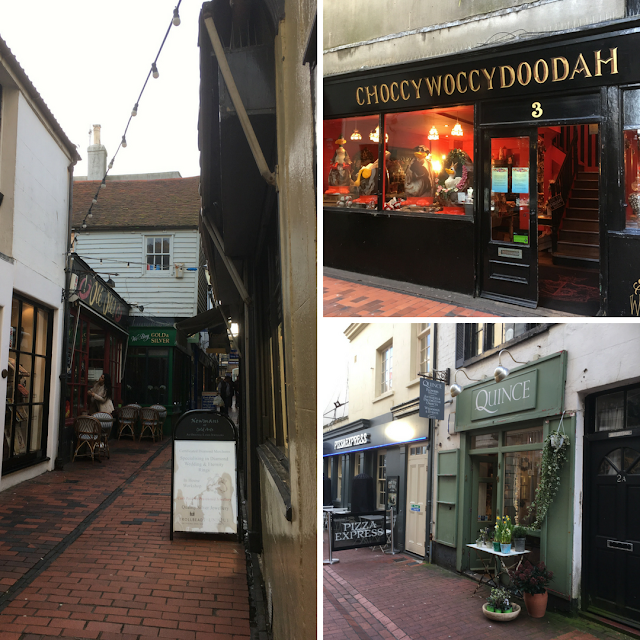 I didn't have much time to spare but with a sunny sky up above me, I thought I'd make the most of it and take a whistle-stop tour of what is renowned, to be, a hip and bohemian city, in East Sussex, on the southern coast of England. Brighton is an English seaside resort town. About an hour south of London by train, it's a popular day-trip destination. However, from Newcastle, it was 3 trains and nearly 6 hours away. 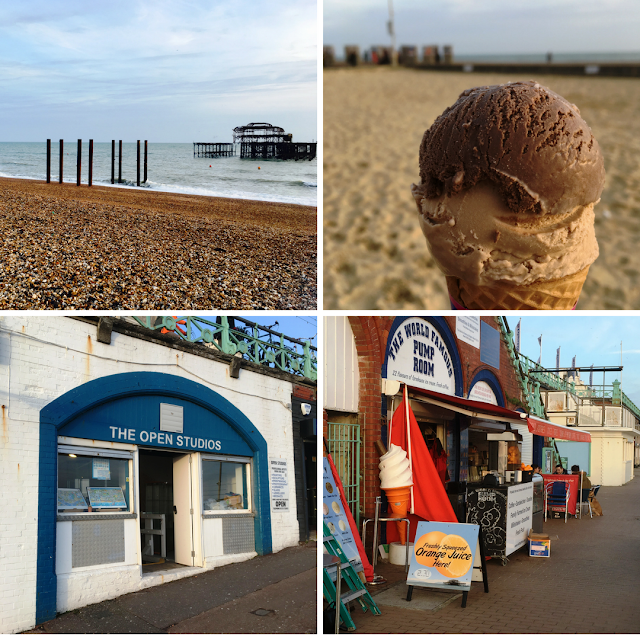 It has a broad shingle beach, overlooked by amusement arcades and Regency-era buildings. Brighton attracts over 7.5 million day visitors and 4.9 million overnight visitors every year - so I was in a lot of company! However, it is a compact city and easy to explore on foot - which I duly did. 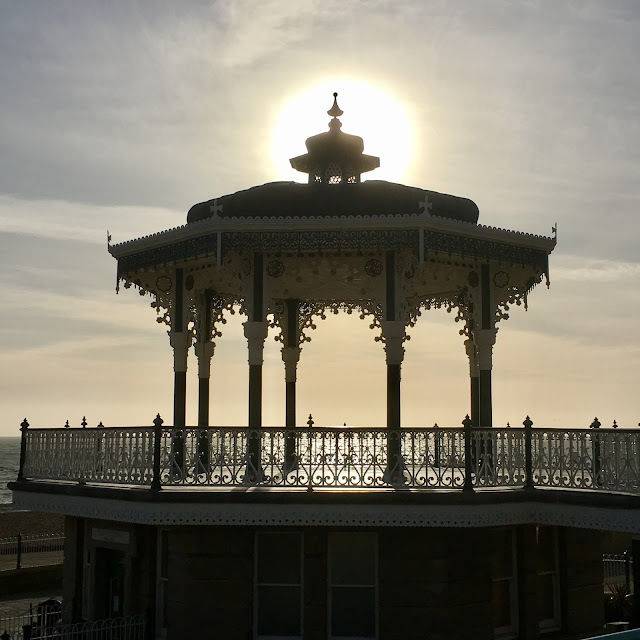 Brighton beach epitomised youth subculture in the 1960s with the infamous mods and rockers but now it is more likely to hit the headlines for being absolutely chockablock on a sunny day. And it is a lot bigger than you would imagine. It's wide and also long ( 5 miles in total) mostly pebbles, though - the only sandy areas are the recreational areas that have recently been developed. I took a stroll along the beach, taking some time out just to chill and relax. Even on a chilly but sunny winters day, there were quite a few people doing the same. Many taking photos, eating ice cream and waiting to see the starlings perform their famous murmuration over what remains of the West Pier. Talking of ice-cream I passed (and stopped at) what was described as the best ice cream in Brighton - The World Famous Pump Room - and had a lovely chat with the owner, who was concerned about the effect of Brexit it on tourism, but with he kindly added extra dark chocolate to the top of my cappuccino flavoured ice cream for free. Great customer service. The beach also has a number of bars, cafes and art galleries worth a look. I had a peek inside some art studios - what was on sale was lovely. If I'd had more time, more more and less luggage to carry I may have been tempted. The offer of a free flight from a colleague who had a spare ticket was enough to tempt me up. The entrance is designed like an airport. Once your tickets have been checked in you go through 'airport security' where all bags are checked for sharp objects and then you are body scanned before you are taken through to the lounge complete with deck chairs while you await the arrival of your flight. The 'flights' leave at intervals of 30 mins. There are seating and viewing platforms all around and also a bar serving champagne, gin and tonics and soft drinks. The ascent of 450ft is very gentle, you hardly know it is moving until you look down and everything starts to get smaller. Once at the top it stops to let you have a good look around from the futuristic glass viewing pod. You can see views across Regency Brighton, the South Downs and a stretch of over 66 miles of coastline, east to Beachy Head and apparently, on the clearest days, (sadly not when I was there) all the way to the Isle of Wight in the west. Tickets are currently £15 for adults, £7.50 children aged 4-15 and £12.50 concessions. From April tickets will be £16 for adults, £8 children aged 4-15 and £13.50 concessions. 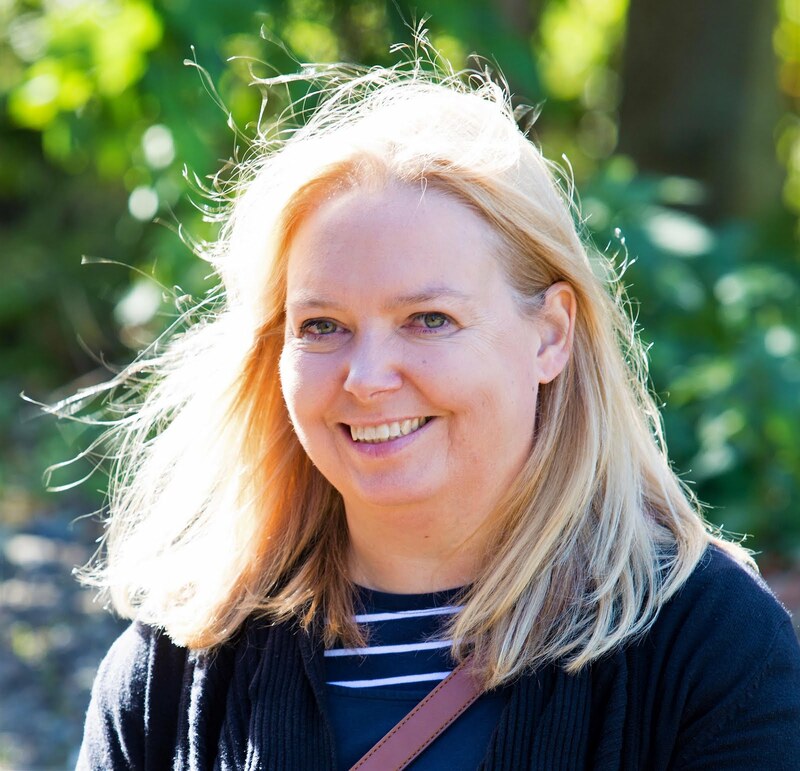 There are also discounts for booking online or if you are a Brighton & Hove resident. Brighton Pier is in the top 5 of the most-visited free attractions in England with over 4.5m annual visitors. Located in the central waterfront section, opened in 1899 and now has rides and food kiosks. 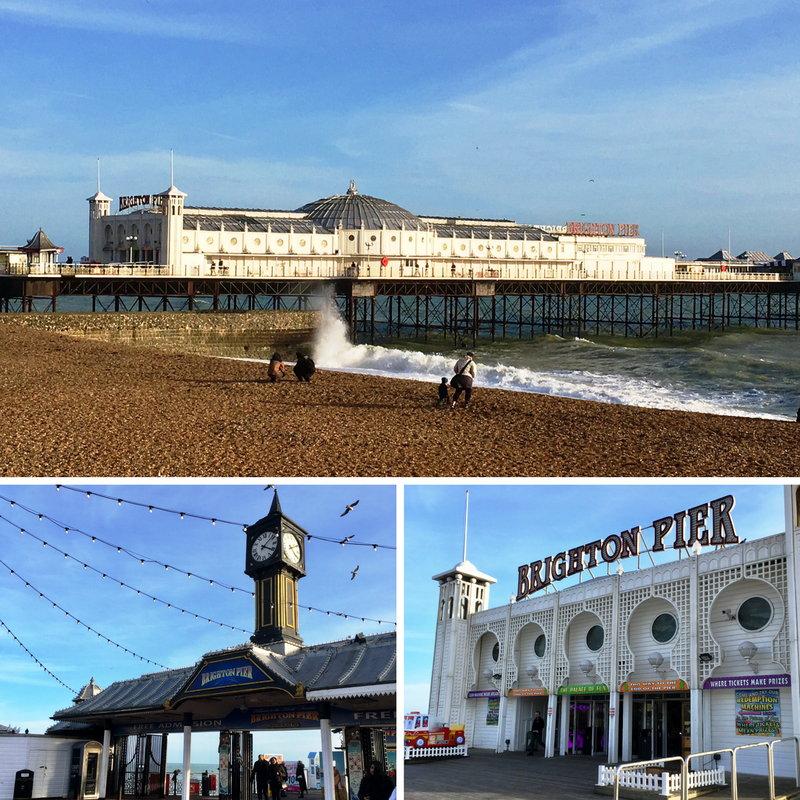 The quintessential seaside attraction the Victorian Pier is everything you think it will be, with various food and drink outlets, fairground attractions and Palace of Fun arcade. It is open 364 days of the year only closing on Christmas Day. I thought the boys would love to come here with the amusements and fairground attractions on offer all day for £10. Once the heart of the city, this historic quarter has a fabulous maze of twisting alleyways. The Lanes are best wandered lazily and explored as you find them. Quirky, narrow streets lined with jewellery shops, cafes, pubs, a florist that really took my eye and the shop that a few people had said to look out for - Choccywoccydoodah. This is a chocolate lovers heaven. 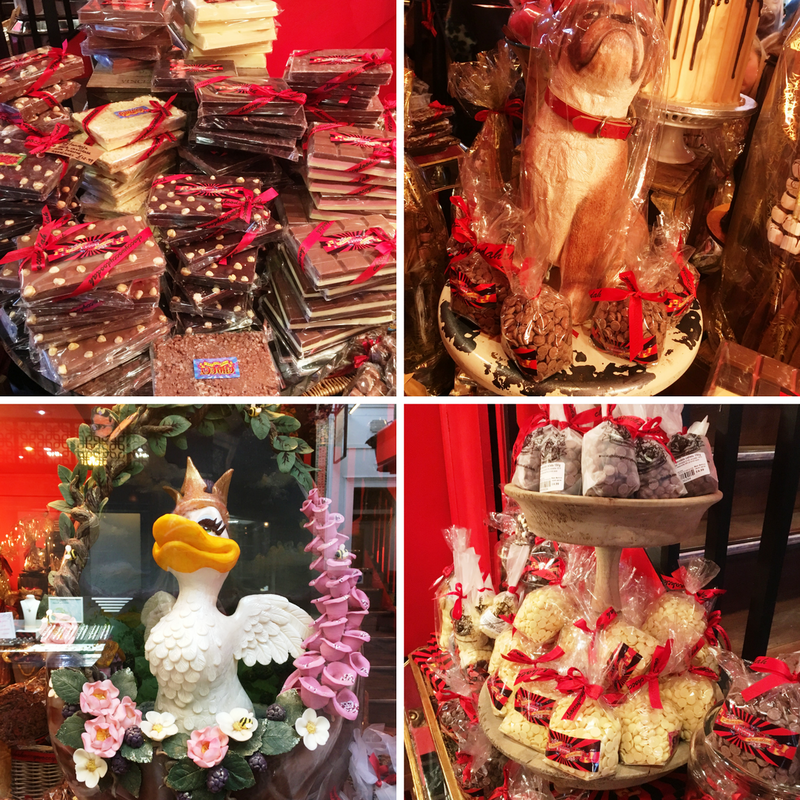 From the giant Easter eggs in the window to the marshmallow cakes, cookies, chocolate chips, giant gold coins and intricately created chocolate dogs - it was certainly a feast for eyes. If the cafe hadn't been so busy I'd have stopped off for a cupboard and cake, but it just wasn't to be. Head inland from Brighton Pier and to your left the most amazing building will appear. The Royal Pavilion is gorgeous. It is huge, spanning a couple of hundred metres with an ornate, Indian-influenced design. From the back and the front, it's a wonderful site. Four miles and a few hours later I was ready to chill out in my hotel to prepare for my work in Brighton the next day. But I was glad I'd taken the opportunity to explore. You never know when you'll next have the chance! If you find yourself in Brighton with a few hours to spare, you can pack a lot in! 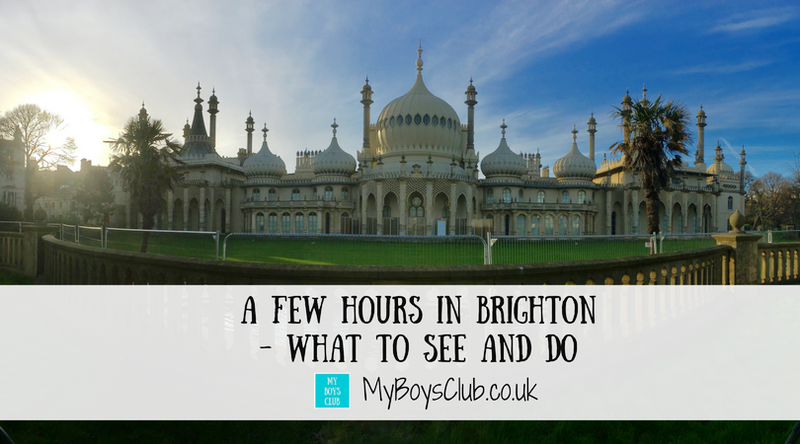 For more information check out Visit Brighton. Where is your favourite place to spend a few hours? I´d really want to visit Brighton. Makes me miss England so much seeing these photos.